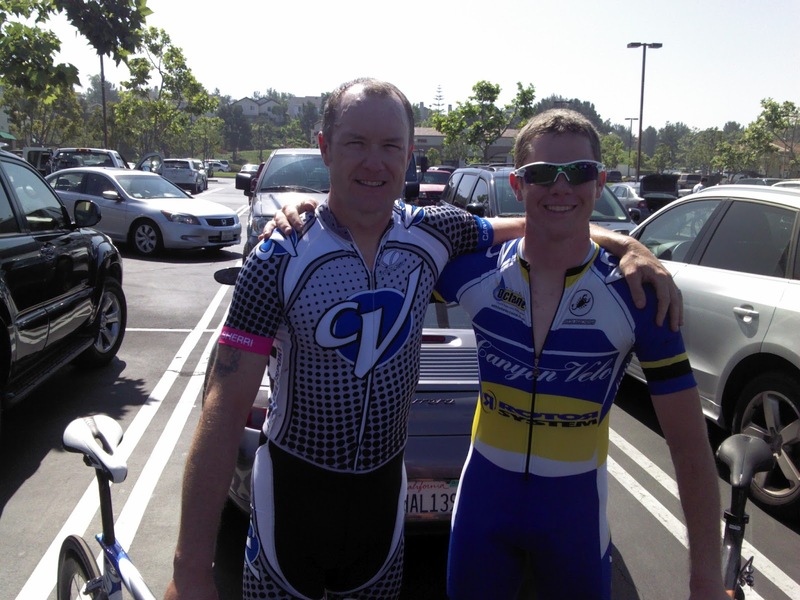 My latest race was the Santiago Canyon Time Trial on Saturday April 21. I checked in with plenty of time and then warmed up for about 40 minutes on my trainer. I headed down to the start about 10 minutes before my start time. I was off at 9:10:30 am. I started off hard from the start. I was having trouble with my rear derailleur. It felt like the chain was skipping which I later found out was because the cassette hub was loose and moving about a ¼ inch. Just as I got out of the tunnel and onto Santiago Canyon I felt that my rear tire was flat. I looked and saw that it was completely gone. I pulled over at Cook’s corner and begged a few riders to borrow their wheel. No one obliged, but fortunately a rider donated a tube and air to me and helped me get back going. Thanks a lot to those guys; I was at least able to finish the race. That, however cost me about 5 minutes, but may have made me hammer harder than I otherwise would have. I finished with a disappointing 34+ minute official time for this 11 mile course. Better luck next time. Paul L raced as well and put in a good race. He also placed 3rd overall in the Santiago Time trial series and received a plak. Congrats Paul!